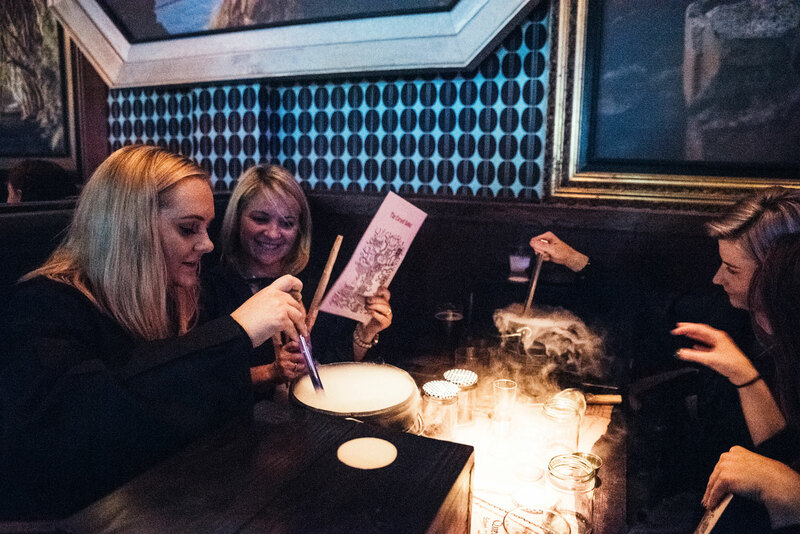 Tickets are £30 and include your 3 alcoholic concoctions and a fully immersive experience with lots to see, snap and share. 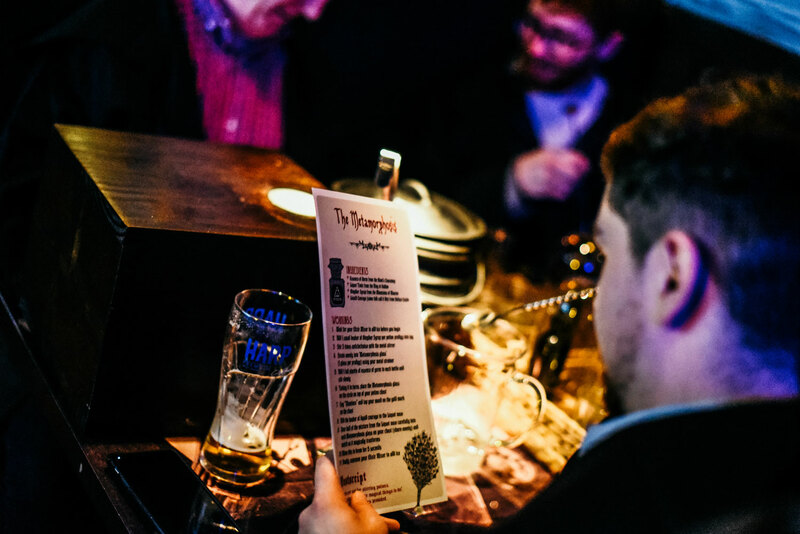 An elixir menu will also be available for any additional brews, beers & cocktails you wish to order. Please note this is an experience based around alcohol so it is over 18s only. Non-alcoholic drinks can also be arranged. Please indicate when booking. Really cool experience would definitely recommend anyone to try it! Also, I had said when booking tickets I was going for my birthday so we were greeted with a glass of Prosecco each which was a nice touch! Loved it! 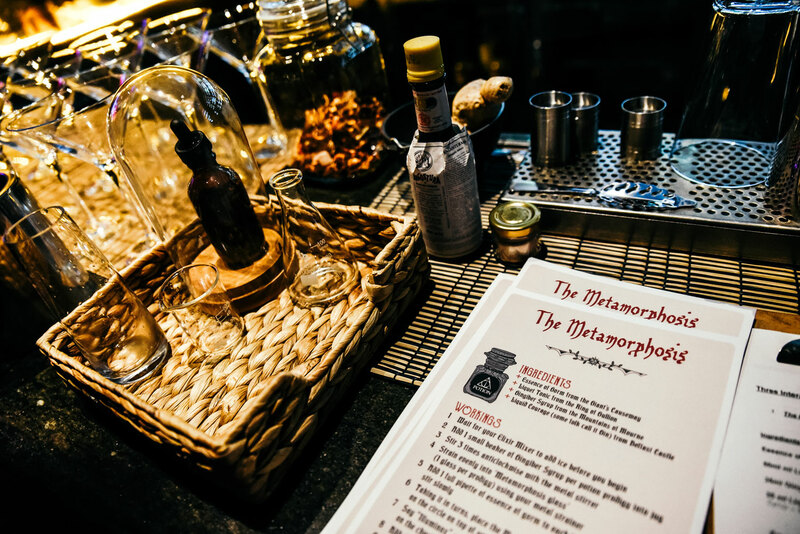 Attention to detail was great and was so much fun brewing your own potions! Would recommend! Had theeeee best time 10/10 would Defs come again and will be bringing my hen party here if it’s still open. Would highly recommend! Had a great night can’t wait to come again! 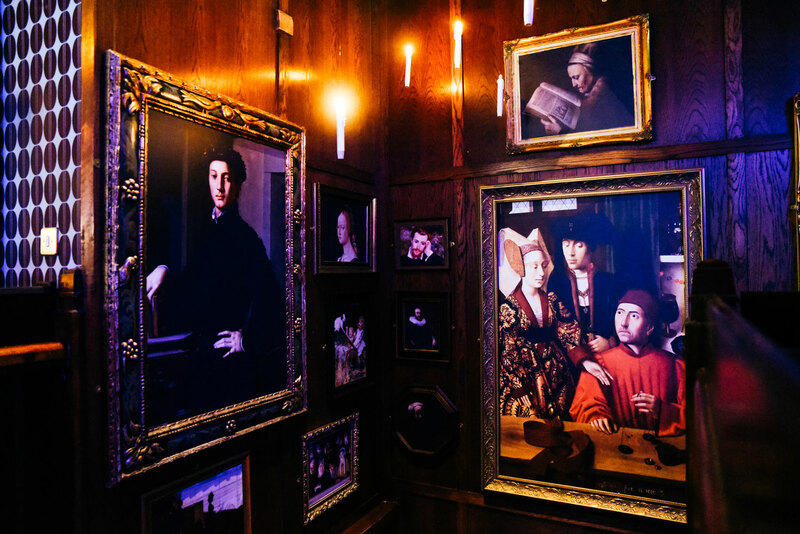 I was in my element – Harry Potter fans will find more than a few similarities to the wizarding world such as train carriages and broomsticks and, as a mega Hogwarts fan, I found myself completely in my happy place. We had a great time at The Cursed Goblet. 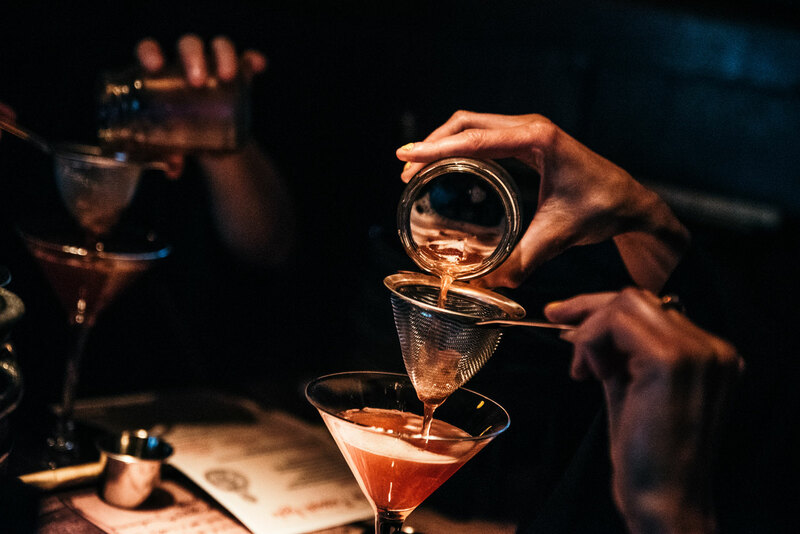 It’s feels like an event, an experience, instead of just the usual drinks at a bar. My other half usually drinks pints of stout but got into the spirit of the event – robe, wand, cocktails and all. 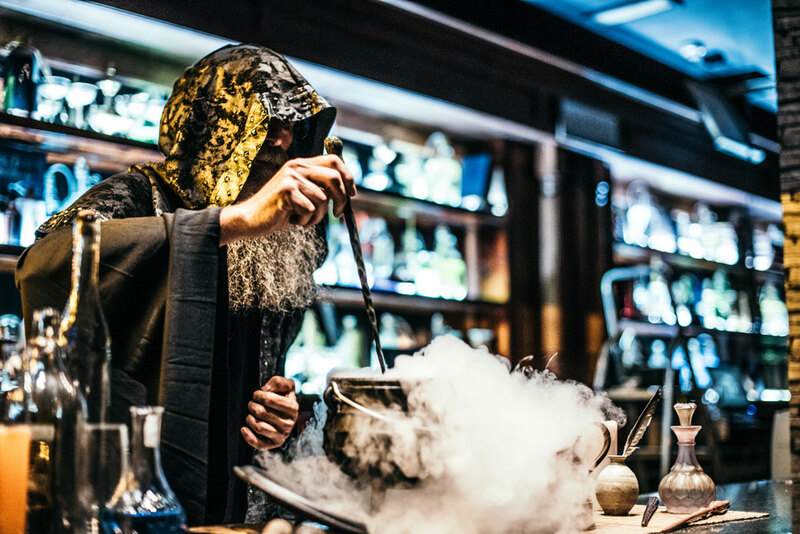 The attention to detail is second to none and you feel like a right scientist/mixologist making your own experiments that you get to drink dressed in a robe which just ads to the whole experience. For further enquiries, larger bookings and special requests, please fill in the contact form below. Local boy Phileas Fisherwick, all through his school life and exams, had one life goal in mind. 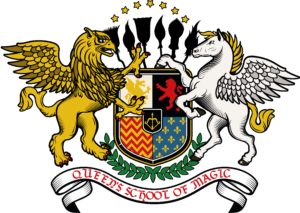 He was determined to be a student at Queens School of Magic. But nobody had the heart to shatter his dreams. So, there he went after straight A’s, dressed in his robe with his wand, cauldron & broomstick in hand, off to live in Elmwood Halls. He got a few strange looks turning up to Queens Rugby trials on a broomstick and trying to enter secret rooms through mirrors and toilets, but he didn’t care. 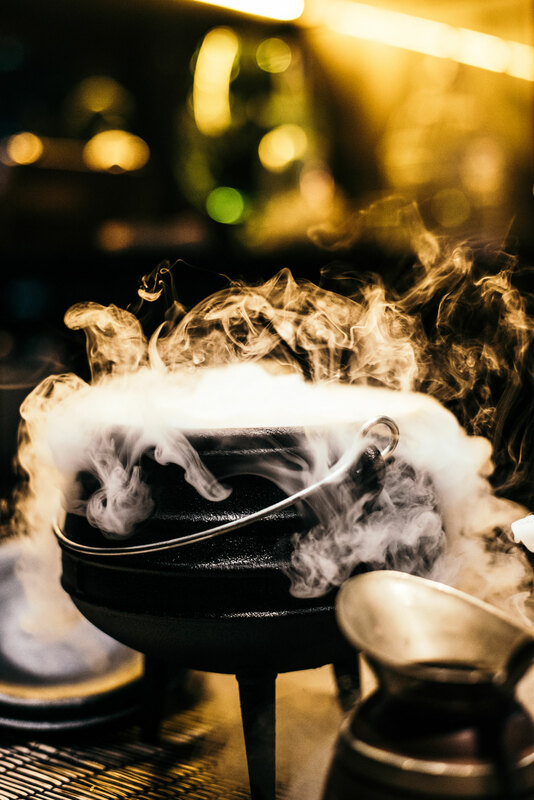 He was here to study Magical Potions, (that’s Advanced Chemistry for us non-magic minded folk) and here blossomed his passion and talent for making magically tasty concoctions. 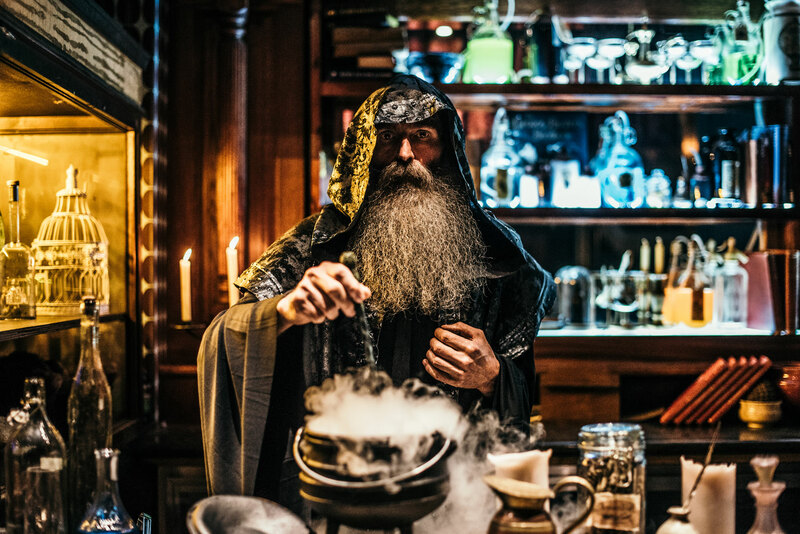 He travelled all around Ireland by train to gather up weird & wonderful ingredients for his list of exclusive elixirs. He found the perfect Hiffpo Berries around The Dark Hedges, the tastiest Yoffa Juice from the grounds of Enniskillen Castle and crossed the rope bridge at Carrick-a-Rede for the best Loofpa Leaf. He had a lot of adventures on the way, but his proudest moment was when he acquired the Cavehill Giant’s Magical Goblet. 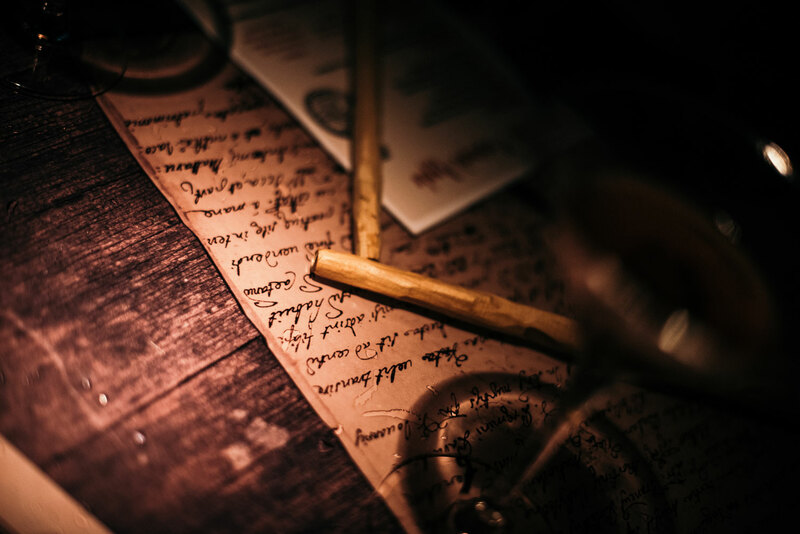 Unfortunately….. the Giant wasn’t best pleased and put a curse on the incredible goblet. 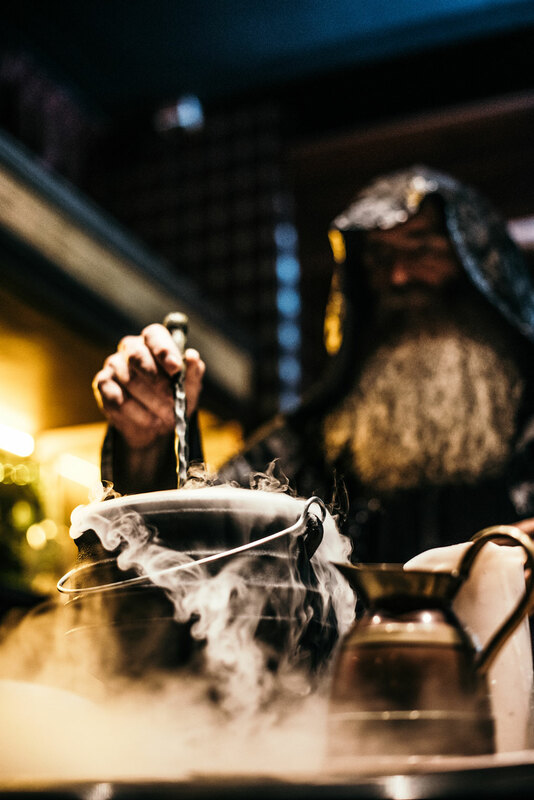 After years of research and exploration, Phileas is getting closer and closer to what is needed to break the curse, the creation of 3 perfect potions, but he needs an army… he needs the help of some potion prodigies to help him break it. 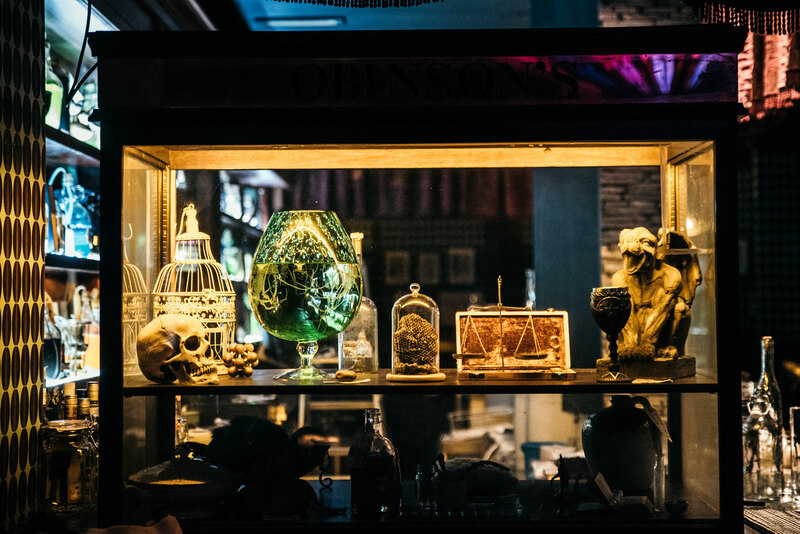 Which brings us here – to Belfast’s own Pop Up Potion Experience beside his beloved Queens School of Magic. 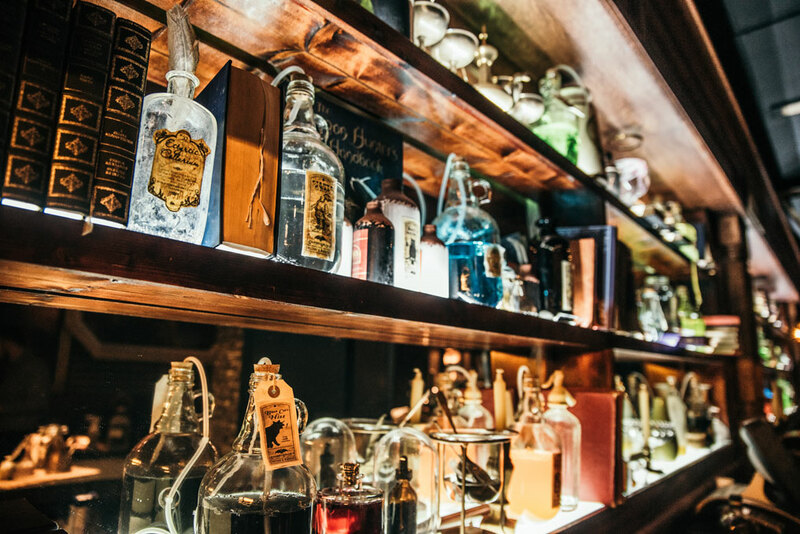 Discover an array of (now Professor) Phileas Fisherwick’s magical creations, learn how to make your own elixirs and immerse yourself into the Professors world of magic. 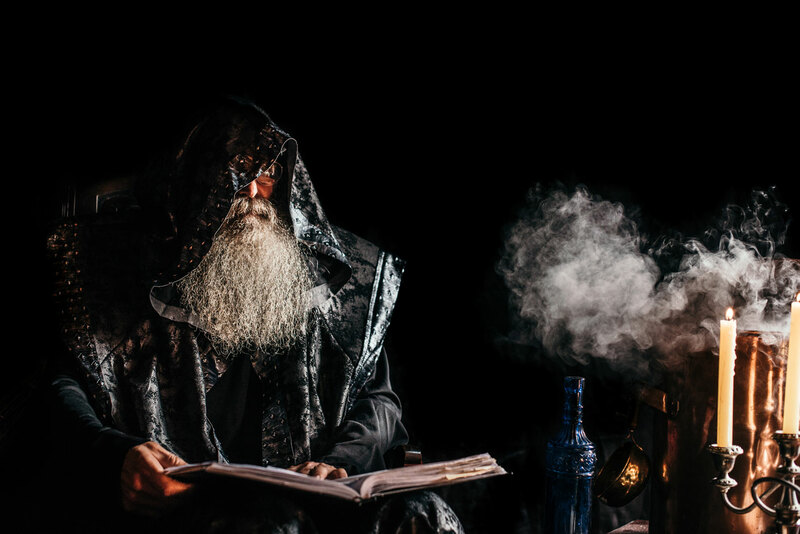 All he asks is that you help him break this eternal hex on The Cursed Goblet… come and find out how. Enter your email address below to hear about tickets & exclusive offers. The Parlour Bar on Elmwood Avenue. 7 min walk from Botanic Avenue Station. 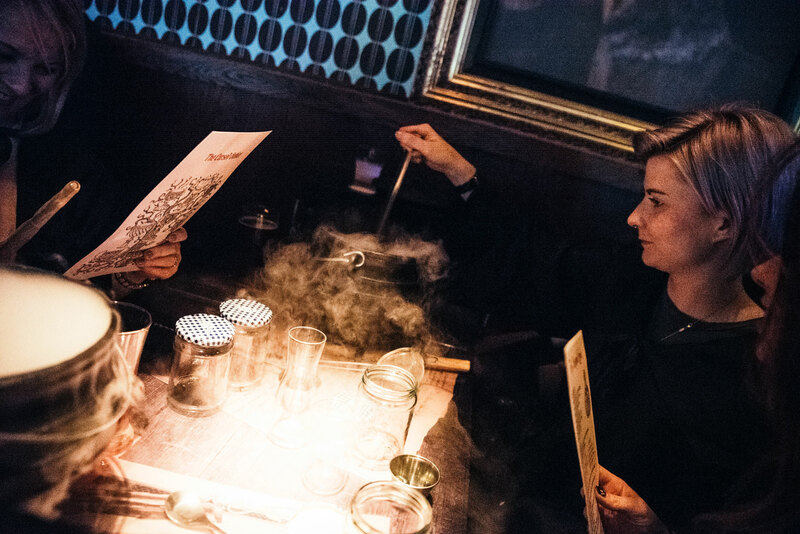 Disclaimer: The Cursed Goblet Pop Up Potion Experience is inspired by the world of magic and fantasy. 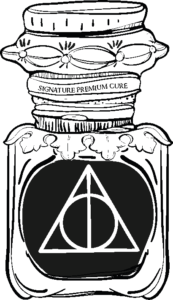 It is not endorsed by or affiliated with any other magic associations, magic film producers, magical book series, in fact anything else at all! 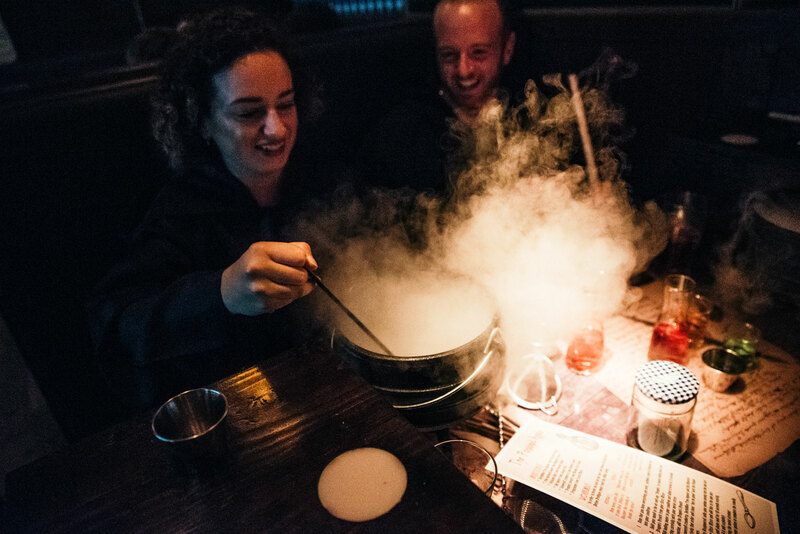 We just want to make some tasty cocktail potions in a fun and magical way and share that with all of you.